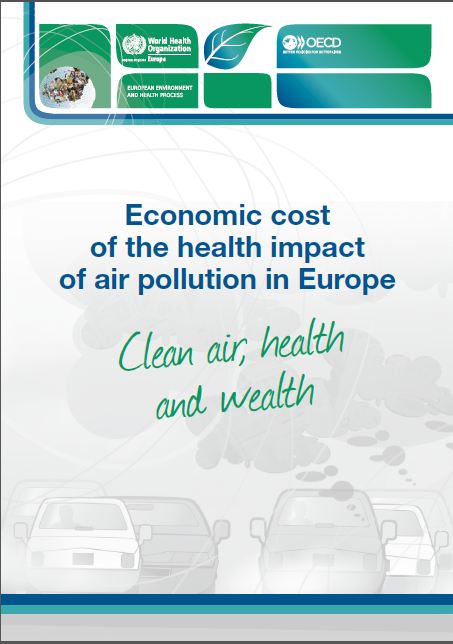 The WHO report published earlier this week entitled Economic cost of the Health impact of air pollution in Europe. Clean air, health and wealth is an eye opener to many who have shut their eyes to the link between environmental and health impacts. This follows the OECD publication last year of another publication entitled The Costs of Air Pollution. Health impacts of road transport. The WHO report concludes that the impact of air pollution on health is substantial both in terms of premature deaths as well as in economic terms. The data quoted by the report compares the years 2005 and 2010. In terms of premature deaths the numbers are approximately stable at 228 deaths in 2010 being attributable to excessive particulate matter in the air. The costs, on the other hand, vary with time and increase substantially. It is estimated that, in 2010, the economic cost to Malta of air pollution stood at €550 million. It can be safely stated that in the absence of heavy industry in Malta, land transport is the major contributor to air pollution. To this one must add local contributors in specific locations, namely : the Delimara Power Station through the use of diesel and HFO, ships in the areas close to ports as well aircraft exhaust in areas close to the airport where aeroplanes take-off or land. Technological advances relative to fuel efficiency have, over the years, improved the situation though a lower contribution to poor air quality by individual vehicles, ships or aeroplanes. Unfortunately this has been more than compensated for by the exponential increase in cars on the road. At the time of writing, the latest available statistics indicate that at end 2014 there were 335,249 vehicles on our roads – an increase of 12,289 over the previous year. Most of that increase is in the passenger car category which, at end of 2014, amounted to 265,950 vehicles or 79.33% of the total number. This number of vehicles on our roads is excessive: at peak hours even our main roads are clogged. This state of affairs has developed gradually throughout the years as a result of the neglected state of public transport in Malta. The half-baked reforms of public transport over the last few years have not made matters any better and it will take much longer for public transport to gain the custom of Maltese (and Gozitans) to the extent that there will be a quantifiable impact on our roads. An efficient public transport system will, in fact, be the major contributor to a reduction of air pollution but the benefits will be multiple. More efficient roads will be the most obvious benefit. This will be accompanied by a substantial reduction in respiratory illnesses and consequently less time lost by working men and women away from their work and by students from their studies. An efficient public transport would also mean that less money would have to be spent on improving our road system through the construction of by-passes and flyovers. All this shows that investing in public transport will pay dividends when it comes to the state of the nation’s health. Why has it taken so long to realise such a basic truth? 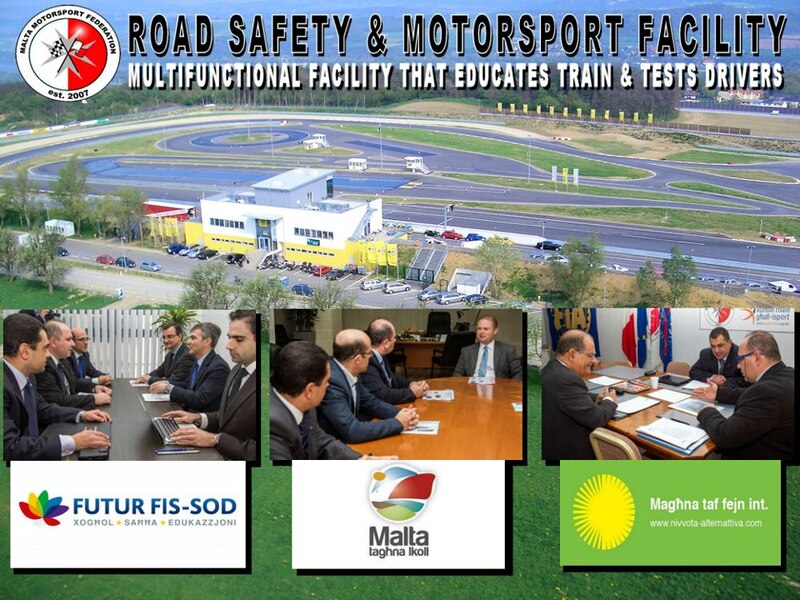 I attended yesterday’s business breakfast organised by the Malta Motorsports Federation on its proposal to build a Road Safety and Motorsports Facility in Malta. The proposal requires a land area of between 33 and 40 hectares and it appears that government has already identified the land which could serve for this purpose. Indications given so far are that it is in the vicinity of the airport, close to Safi and Kirkop. During the Business Breakfast the Prime Minister expressed qualified support for the project. He referred to issues of noise and financial feasibility as being basic and which in his view require to be addressed in more detail before government considers the matter definitely to take a final decision. I also heard veteran entrepeneur Maurice Mizzi air his views. He agreed with the road safety aspect of the project whilst disagreeing with the motor sports part on the basis of noise pollution. The two aspects of the proposed project are complimentary. The Motor Sports aspect is considered to be the revenue generating part whilst the Road Safety aspect will contribute to an organised professional drive to have better trained drivers. The road safety aspect of the project was defined by one of the foreign speakers as being a CSR driven project, a means through which Motor Sports channels back into the community profits which are generated. The issues to be examined are not only those relating to financial feasibility and noise impacts as emphasisied by the Prime Minister. Air quality and the emission of particulate matter resulting from the fuels which will be in use has to be studied in detail. One has also to consider the fact that the localities in the vicinity of the airport are already subject to excessive noise pollution resulting from the operations of Malta’s International Airport. With this in mind whilst emphasising that the proposed project may serve as a much needed educational tool to improve driving skills much more needs to be examined before it can be given the go-ahead. Our community may reap great benefits from this initiatve through improved road safety. As to the sports aspect one has undoubtedly to consider further. Eventually a decision will depend on the technical parameters of the project, the proposed mitigating measures and the precise location of the site. Any decision has to await such time as these issues are clear. It has to be clear that the communities close by are not shouldered with more burdens. They have shouldered more than enough to date.